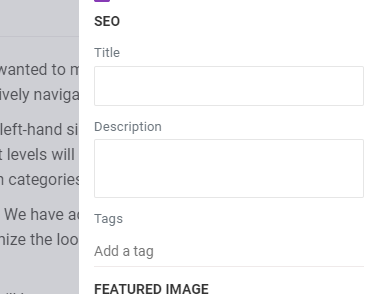 Just like you have an SEO description and tags, you need to add a title field to use for the HTML <title> that shows up in google search results. We have added option to specify title in the SEO section. Also the default title name will be "Category name" + "Article name"